Lili Wright was burnt out on urban life. So at age 33, she packed her car, rounded up her dog and left New York for a journey that spanned from Maine to North Carolina to Florida. Along the way, she revisited her past and relived old relationships. Wright will relive those memories and share her insights about putting those memories to paper when she visits the ISU campus next month. Wright details the events of a summer of her life in the memoir "Learning to Float: The Journey of a Woman, a Dog, and Just Enough Men." At the time of the book's initial release in 2002, Book Magazine listed "Learning to Float" as one of summer's hottest picks. In 2008, Wright won the Mary C. Mohr Nonfiction Prize for her essay, "Pilgrim," a chapter from her manuscript, "Swimming in Salt Water." Last year, she won the inaugural essay contest from the on-line journal, Wag's Revue, for her essay, "The Country I Came From." She is currently working on a novel about a Mexican mask-maker. 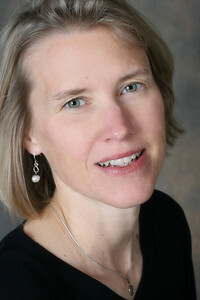 Before Wright began her teaching career, she spent ten years as a journalist in New York, New Jersey, Connecticut, Utah and Mexico. Wright's work has appeared in newspapers nationwide, including the New York Times and the Baltimore Sun. She is a graduate of Columbia University's MFA program and teaches creative writing and journalism at DePauw University. She lives in Greencastle with her husband and daughter. Wright appears at Dec. 1 at 3:30 p.m. in the Heritage Lounge at ISU's Tirey Hall. The session is free and open to the public. Lili Wright, author of â€œLearning to Float: The Journey of a Woman, a Dog, and Just Enough Men,â€ will read from her work Dec. 1 at 3:30 in Heritage Lounge at ISUâ€™s Tirey Hall.